This Cardio Routine Is So Much Fun, It Won’t Feel Like a Workout | Latreal: No treadmill required. 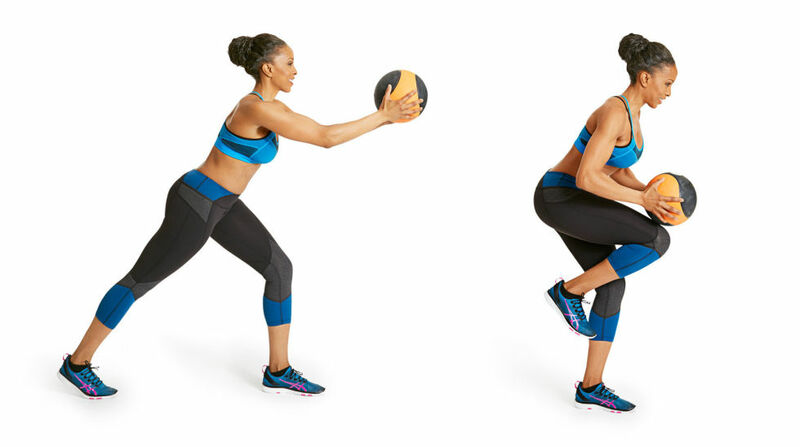 You don’t need a whole lot to get in a good cardio workout — in this case, you just need a few minutes and an 8- to 10-pound medicine ball Do this routine three times through, twice a week for best results! 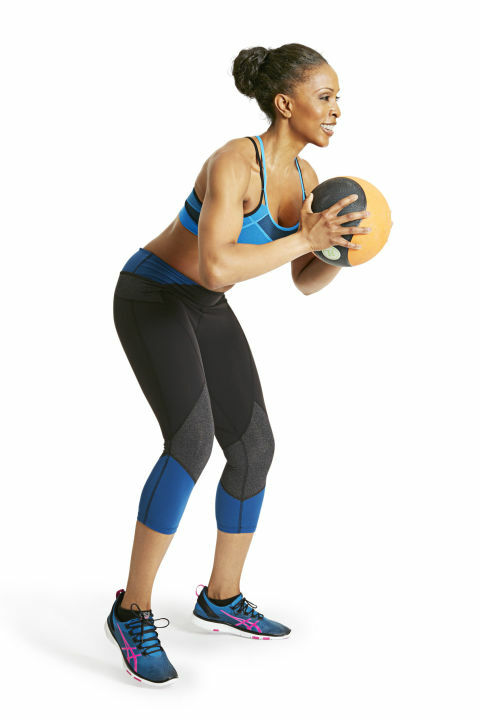 Stand holding ball with both hands at chest. Jump to right, sweeping left leg behind you like a speed skater, bringing ball to right hip (as shown). Repeat on left. Continue alternating for one minute. If you’re having trouble steadying, start with a side step until you’re comfortable with the coordination before adding the jump. With feet wider than hip-width apart and knees soft, lean forward slightly, holding ball at chest. 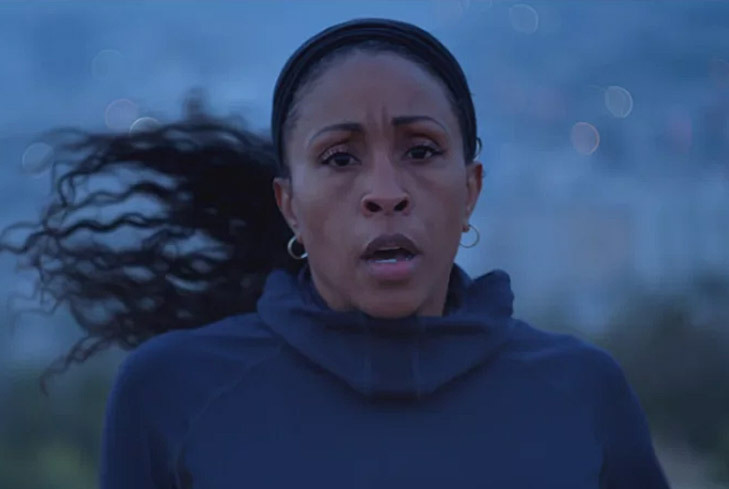 Jog in place with tiny, rapid steps for one minute. While jogging, think about actively squeezing the ball between your palms to tone your chest muscles. Begin in a lunge, left foot in front of right, holding ball with arms outstretched at chest height (as shown left). In one movement, bring ball to meet your right knee (as shown right), then quickly return to start. Continue for 30 seconds; switch sides; repeat for 30 seconds. The faster you go, the more calories you’ll zap. But form is everything — keep it in check as you sizzle, sizzle. This story originally appeared in the May 2016 issue of Good Housekeeping. 1 comment on This Cardio Routine Is So Much Fun, It Won’t Feel Like a Workout No treadmill required. I wish I could have you as a trainer for 2 weeks to get me started! You are the best! !